The Union of the Somali National Authors was organized on 1st of December 3, 2013 by Ambassador Dr. Badal Kariye who is the Internationally Renowned Somali American Writers of 42 Books, Journalist, Security Expert and Diplomat. Ambassador Dr. Badal Kariye has realized that there has been a need to collect, archive, revive and disseminate Somalia’s literature and literary works in the globe. 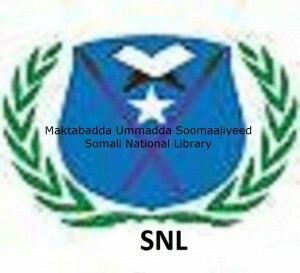 The Somali National Library is a Member of the Union of the Somali National Authors which is a National Organization under the Somali Ministry of Higher Education and Heritage. The People of Somalia and the world have common interest to share books, literature and literary works. The Somali National Library is open to all Somali people, Authors/Writers and fellow global citizens to enlist their books and literary works wherever they live or reside in. It’s our pleasure to play fair to display what the Somali people, Authors/Writers and others have been accomplished to write about Somalis and Somalia and the world at large since 1960s up to this president date. You can read and take reference of any books, which a Somali Writers/Authors published through the Union of the Somali National Authors or other publishing companies. The Interim President & Founder of the Somali National Library (SNL) & the Chairman of the Honorary Executive of the Union of Somali National Authors.